Following rumours originating from Japanese gaming rag Famitsu, Resident Evil 0 has been confirmed to be hitting PC in early 2016. 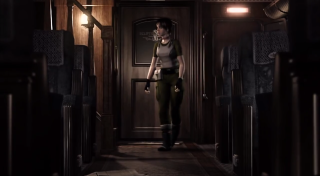 It's a prequel to the better known Resident Evil, which was re-released earlier this year to favourable reviews. The remaster has been confirmed for a while now, but in the above video you'll catch a glimpse of how it looks in action. Needless to say, it looks better than it did in the year 2002. If you're not up to speed, the HD version offers both classic and modern control schemes (ie, you can play it with tank controls if you want), and you can choose between the "classic" 4:3 ratio or the fancier, more modern 16:9 widescreen mode. Needless to say, the textures are much prettier and you'll be playing it in 1080p.